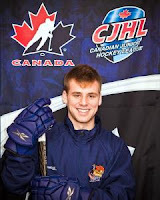 STU makes the addition of three MHL veterans to round out their line-up for the 2011-12 season. DG: New era for Tommies dawns Wednesday. A big question mark all summer was who was going to replace Ben MacFarlane and get the back-up goaltending position behind Charles Lavigne? Consider it answered. 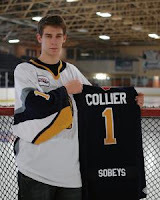 Justin Collier, most recently of the Pictou County Weeks Crushers, will be a solid reinforcement to the goaltending tandem. In 40 regular season games last season, Justin posted an impressive 2.61 GAA, a .919 save percentage, and 21 wins for the Crushers. This was no fluke as his save percentage has been over .915 for the past three seasons. 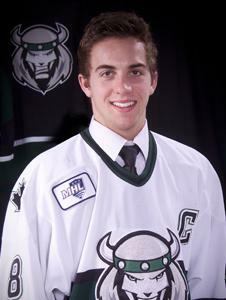 Robert Zandbeek comes to STU after being the Captain of the MHL's Woodstock Slammers last season. 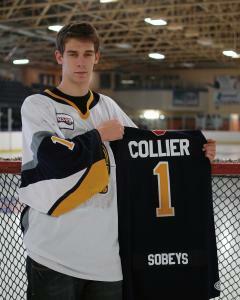 He also has 3 years experience in the always tough AJHL. A native of St. Albert, Alberta, Rob had a break-out season last year scoring career highs of 20 goals and 38 assists for 58 points for the Slammers. Rob is known for giving it "his all" every shift and being a good character guy. Last but not least, John MacDonald former Captain of the Metro Marauders will wear the Tommies green and gold this season. John is well known to Coach Ryan, as he has played for him the past 2 seasons in Nova Scotia. Not a big point producer, John is willing to do what it takes to get wins. If the coach thinks enough of this kid to bring him on board, he may just surprise a few people.